Javier Canteras brings his Basque regional Spanish cuisine to Portland at Urdaneta, 3033 NE Alberta. The cozy space was previously home to Natural Selection and opened in July, 2016. 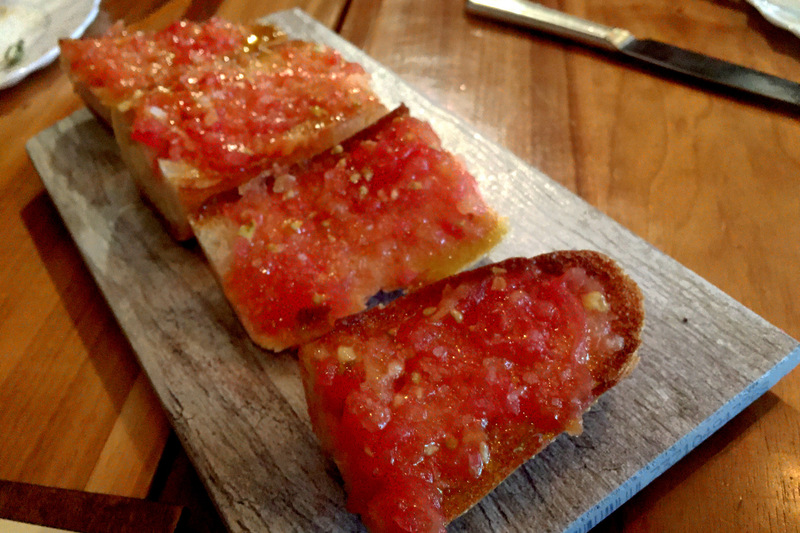 Here, you can enjoy tapas that feature the rustic comforts of the Basque region as well as the sophistication of Madrid tapas bars. Drinks play a large role in tapas culture, and I tried The Long Walk Home- Bourbon, Basque Sidra, Amaro, citrus. As a walker, I found it both refreshing and intricate, quite satisfying to savor. They have a variety of Spanish wines by the glass, cider, sherry, and cocktails. You can select tapas by size, with the Pintxos del Bar being the smallest and best enjoyed by one person. We started with the Molleja – crispy sweetbread with dad’s marinated peppers and espelette crema, and the Ajo Verde – cucumber almond gazpache with pickled grape and sunflower seeds. Like the rest of the dishes, these were big flavors and very satisfying. 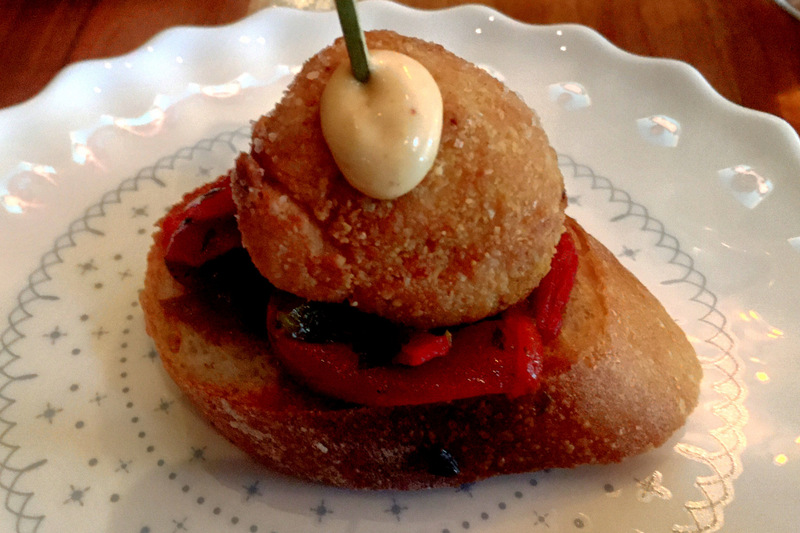 For larger tapas primeros, we ordered up the traditional Pan con Tomate and the croquetas de chorizo. The tomato bread had a great garlic punch and the croquetas were rich with dry cured chorizo, bechamel and sherry aioli. The Tapas Segundos are larger and even more intricate. 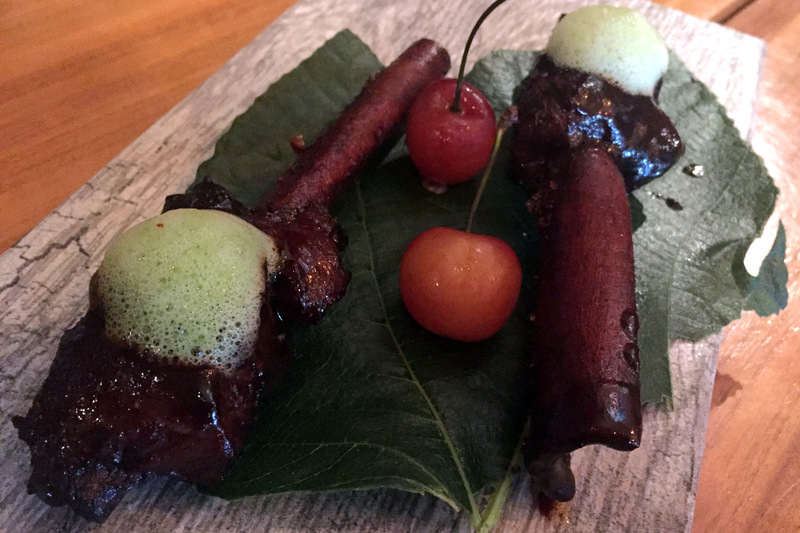 We gave top marks to the Filete de Culotte – culotte steak with romesco, leek marmalade and valdeon foam. The Pulpo a la Plancha – grilled octopus with fingerling potatoes, fennel and grapefruit was also excellent. 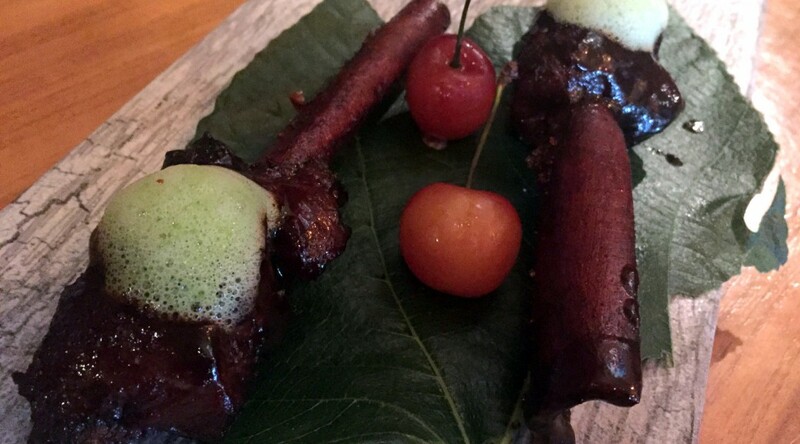 The Cordero – lamb shoulder skewered on sinnamon sticks with kalimotxo glaze, pickled cherry and citrus espuma was a little too dry, but took a lovely photo. The low light at our table resulted in poorer photos of the other delicious dishes. We shared two desserts. 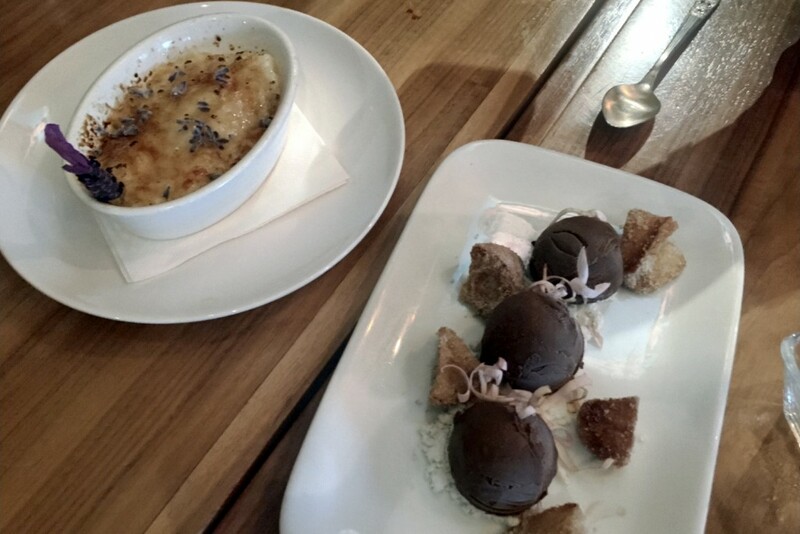 The Arroz con Leche bruleed lavender rice pudding and the Helados Y Sorbetes ice creams. The were lovely. You can view the work going on in the open kitchen. We made a reservation for their opening time. The place filled up by 6:30. They are open every day at 5 pm. 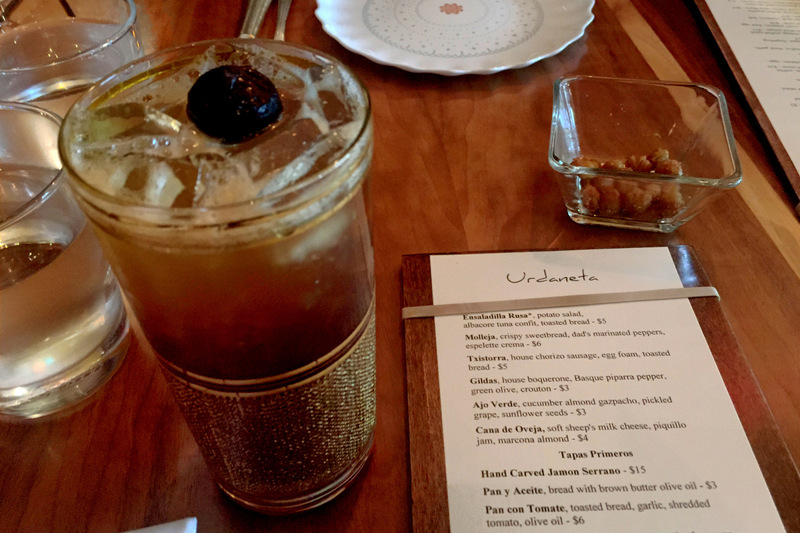 Add Urdaneta to the exciting Spanish cuisine scene of Portland.